Text: Asami Miyamuralocated along Asano River in Sakuramachi, Kanazawa. The owner of the place is an artist, curator and producer, Akane Nakamori who has joined in a film program at Yokoyama Trienale 2005. In the house there are gallery spaces that showcase mostly contemporary art works created by young artists as well as high sense contemporary crafts by young artists. 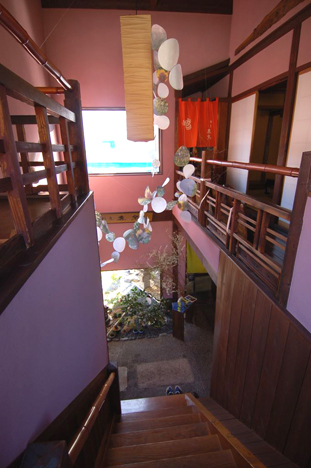 The japanese room on the upstairs is used as a multi-use space for calligraphy and tea ceremonies.